Have high airfares caused you to consider cheaper transportation, like the bus? If so, here’s a quick review of bus providers to consider. Unlike air travel, there are no metasearch sites where you can easily compare bus fares, so you’ll need to visit a number of sites. 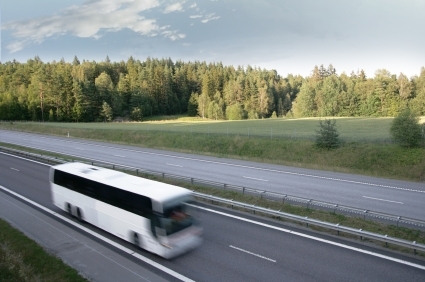 Greyhound is the only true national bus service, so its website is a good place to start. Booking Greyhound fares online is straightforward and often cheaper than buying them over the phone or in person. Sometimes the cheapest fares require an advance purchase. Discounts are also available for kids, students, seniors, military members, and veterans. You can reserve seats in advance on some routes for $5. You’re allowed to check one bag for free and two bags for $5. Additional or oversize bags are charged shipping rates. Regional bus companies fill in the gaps left by Greyhound, and, in some cases, offer more competitive fares. There’s no one portal that lists all the providers by destination, so you’ll have to Google “[Destination] bus” to find a list of companies. If you live in the Northeast, you have more options, including “low-fare” buses and “Chinatown” buses. Megabus (serves 26 destinations in the Northeast and Midwest) and Bolt Bus (Boston, New York, Philadelphia, and Washington, D.C.) are the two main low-cost bus lines, which charge as little as $1 one-way. Chinatown buses connect Chinatowns in major cities like New York and Boston and Los Angeles and San Francisco and can be dirt cheap, although rough around the edges. The website GotoBus.com allows you to compare and book fares on Chinatown bus services around the country.